I also enjoy working with black sheep, square pegs, just a little offbeat peeps, and straight-laced, vanilla, heterosexual folks who think I'm a good fit for their needs. Therapy is a collaborative space for you and I to explore things in your life that may be causing you trouble personally and interpersonally. This space is a safe space for you to explore things because of the boundaries we put in place. I believe psychotherapy works by first helping you develop the tools to handle emotional states that challenge you most. With these new tools, we begin to work through experiences, both past and present, that cause you pain or difficulty. There are many different approaches to therapy and I may use a variety of techniques based on what will best suit your needs. I truly love what I do! 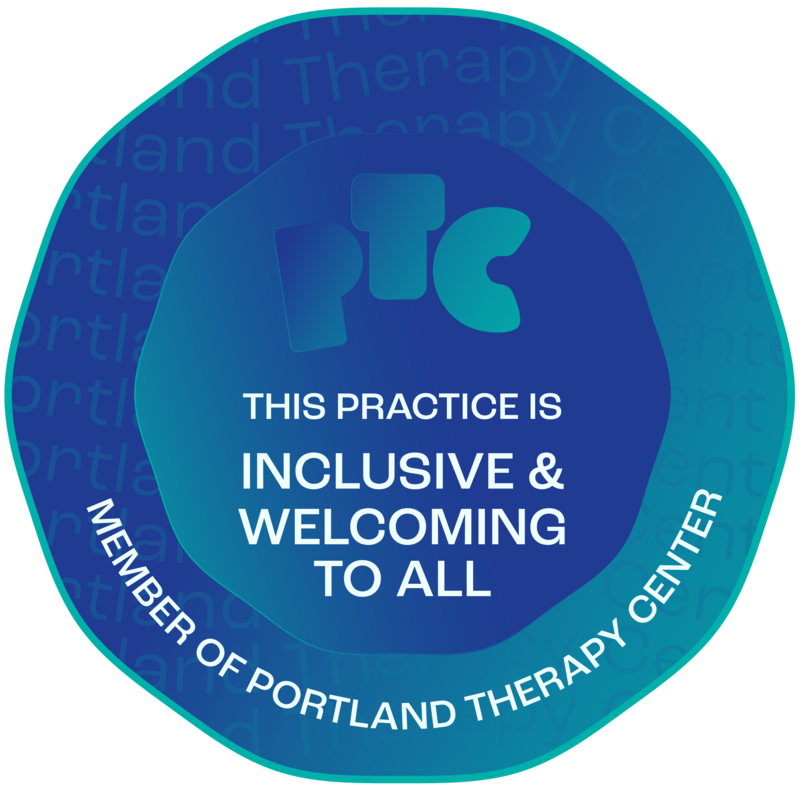 I have been in private practice in Portland since 2012. I am honored to have the opportunity to share what I’ve learned with the people I meet in my office. Being invited to support my clients on their journey to a more happy and complete sense of self is the most rewarding work I have ever done. In addition to supporting clients through my private practice, I have the pleasure and privilege of guiding the next generation therapists into the field as an assistant supervisor at Lewis & Clark Community Counseling Center. I'm currently training to become an Approved Supervisor through the American Association of Marriage and Family Therapy. My work in the mental health field began at one of the largest LGBT organizations in the world, the LA Gay & Lesbian Center. Chosen as one of only ten new interns to their nationally acclaimed LGBT specific psychotherapy internship program, I received excellent training in a range of LGBT mental health issues including domestic partner violence, substance abuse, and crisis intervention. I've received training in theories of psychology and counseling, human growth and development, law and ethics, couples counseling, family systems, treatment of children and adolescents, chemical dependency, human sexuality, human diversity, and affirmative treatment models for lesbian, gay, bisexual, and transgender clients. I earned a Master’s Degree in Clinical Psychology with a specialization in LGBT Clinical Psychology from Antioch University Los Angeles. I have a Bachelor’s degree in Psychology and Deaf Studies from California State University Northridge and an Associate’s degree in Liberal Arts from the Community College of Vermont. I've had the opportunity to live in many areas of the country including New Jersey, Georgia, Utah, and Oregon. These experiences have enriched my understanding of American culture, religion, and historical oppressions which greatly influences my work. I'm happily settled into Oregon but at times I do miss a good Georgia thunderstorm. When I'm not working I'm most often volunteering, enjoying roller derby, or creating something with my hands. Individual therapy for adults and youth addressing mental health issues, gender identity/transition services, relationship struggles, personal development, and more. Therapy for family conflict, parenting concerns, metamour issues, siblings, etc. Clinical supervision for interns and therapists in training. Therapy for partners focusing on communication problems, frequent conflicts, pre-marital counseling, transitioning to non-monogamy / polyamory / open relationships, boundary struggles, ending a relationship / divorce. Initial intake session lasts 60 minutes and includes a review of your history, establishing goals for therapy, and completing necessary paperwork. Typical individual and relationship counseling sessions last 50 minutes. 90 minute counseling sessions are available upon request. Your session fees may be billable as out-of-network with most insurance companies. Please contact your insurance provider to discuss your out-of-network coverage. I accept out-of-pocket payment for my services. Accepted methods of payment are cash, check, credit card, bank transfer, or Apple Pay. My office is located just south of the Central Library in the Jeffrey Center. The building is just a couple blocks from bike lanes, MAX, bus, and streetcar lines as well as SmartPark. 1020 SW Taylor St. #700 Portland, OR. 97205. Please do no share private information on this contact form.